Closing the door firmly behind him, A. led me forward into a completely dark room. The floor was covered with a soft carpet on which our steps made no sound. I put out my free hand in the dark and felt a heavy curtain, which ran the whole length of what seemed to be a large room, forming a kind of passage to a second door. “Keep your aim before you,” A. whispered, and lifting a carpet hung across a door, he pushed me ahead into a lighted room. Opposite the door a middle-aged man was sitting against the wall on a low ottoman, with his feet crossed in Eastern fashion; he was smoking a curiously shaped water pipe which stood on a low table in front of him. Beside the pipe stood a small cup of coffee. These were the first things that caught my eye. As we entered, Mr. Gurdjieff—for it was he—raised his hand and, glancing calmly at us, greeted us with a nod. Then he asked me to sit down, indicating the ottoman beside him. His complexion betrayed his Oriental origin. His eyes particularly attracted my attention, not so much in themselves as by the way he looked at me when he greeted me, not as if he saw me the first time but as though he had known me long and well. I sat down and glanced round the room. Its appearance was so unusual to a European that I wish to describe it in more detail. There was no area not covered, either by carpets or hangings of some sort. A single enormous rug covered the floor of this spacious room. Even its walls were hung with carpets which also draped the doors and windows; the ceiling was covered with ancient silk shawls of resplendent colors, astonishingly beautiful in their combination. These were drawn together in a strange pattern toward the center of the ceiling. The light was concealed behind a dull glass shade of peculiar form resembling a huge lotus flower, which produced a white, diffused glow. Another lamp, which gave a similar light, stood on a high stand to the left of the ottoman on which we sat. Against the left-hand wall was an upright piano covered with antique draperies, which so camouflaged its form that without its candlesticks I should not have guessed what it was. On the wall over the piano, set against a large carpet, hung a collection of stringed instruments of unusual shapes, among which were also flutes. Two other collections also adorned the wall. One of ancient weapons with some slings, yataghans, daggers and other things, was behind and above our heads. On the opposite wall, suspended by fine white wire, a number of old carved pipes were arranged in a harmonious group. Underneath this latter collection, on the floor against the wall, lay a long row of big cushions covered with a single carpet. In the left-hand corner, at the end of the row, was a Dutch stove draped with an embroidered cloth. The corner on the right was decorated with a particularly fine color combination; in it hung an ikon of St. George the Victor, set with precious stones. Beneath it stood a cabinet in which were several small ivory statues of different sizes; I recognized Christ, Buddha, Moses and Mahomet; the rest I could not see very well. Another low ottoman stood against the right-hand wall. On either side of it were two small carved ebony tables and on one was a coffee-pot with a heating lamp. Several cushions and hassocks were strewn about the room in careful disorder. All the furniture was adorned with tassels, gold embroidery and gems. As a whole, the room produced a strangely cosy impression which was enhanced by a delicate scent that mingled agreeably with an aroma of tobacco. Having examined the room, I turned my eyes to Mr. Gurdjieff. He looked at me, and I had the distinct impression that he took me in the palm of his hand and weighed me. I smiled involuntarily, and he looked away from me calmly and without haste. Glancing at A., he said something to him. He did not look at me again in this way and the impression was not repeated. A. was seated on a big cushion beside the ottoman, in the same posture as Mr. Gurdjieff, which seemed to have become habitual to him. Presently he rose and, taking two large pads of paper and two pencils from a small table, he gave one to Mr. Gurdjieff and kept the other. Indicating the coffee-pot he said to me, “When you want coffee, help yourself. I am going to have some now.” Following his example, I poured out a cup and, returning to my place, put it beside the water pipe on the small table. I then turned to Mr. Gurdjieff and, trying to express myself as briefly and definitely as possible, I explained why I had come. After a short silence, Mr. Gurdjieff said: “Well, let’s not lose any precious time,” and asked me what I really wanted. To avoid repetition, I will note certain peculiarities of the conversation that followed. First of all I must mention a rather strange circumstance, one I did not notice at the moment, perhaps because I had not time to think about it. Mr. Gurdjieff spoke Russian neither fluently nor correctly. Sometimes he searched for a considerable time for the words and expressions he needed, and turned constantly to A. for help. He would say two or three words to him; A. seemed to catch his thought in the air, and to develop and complete it, and give it a form intelligible to me. He seemed well acquainted with the subject under discussion. When Mr. Gurdjieff spoke, A. watched him with attention. With a word Mr. Gurdjieff would show him some new meaning, and would swiftly change the direction of A.’s thought. Of course A.’s knowledge of me very much helped him to enable me to understand Mr. Gurdjieff. Many times with a single hint A. would evoke a whole category of thoughts. He served as a sort of transmitter between Mr. Gurdjieff and myself. At first Mr. Gurdjieff had to appeal to A. constantly, but as the subject broadened and developed, embracing new areas, Mr. Gurdjieff turned to A. less and less often. His speech flowed more freely and naturally; the necessary words seemed to come of themselves, and I could have sworn that, by the end of the conversation, he was speaking the clearest unaccented Russian, his words succeeding one another fluently and calmly; they were rich in color, similes, vivid examples, broad and harmonious perspectives. In addition, both of them illustrated the conversation with various diagrams and series of numbers, which, taken together, formed a graceful system of symbols—a sort of script—in which one number could express a whole group of ideas. They quoted numerous examples from physics and mechanics, and especially brought material from chemistry and mathematics. Mr. Gurdjieff sometimes turned to A. with a short remark which referred to something A. was familiar with, and occasionally mentioned names. A. indicated by a nod that he understood, and the conversation proceeded without interruption. I also realized that, while teaching me, A. was learning himself. Another peculiarity was that I had to ask very rarely. As soon as a question arose and before it could be formulated, the development of the thought had already given the answer. 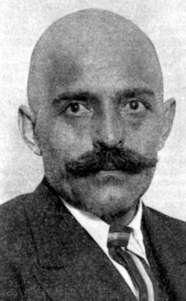 It was as though Mr. Gurdjieff had known in advance and anticipated the questions which might arise. Once or twice I made a false move by asking about some matter that I had not troubled to get clear myself. But I will speak about this at the right place. I can best compare the direction of the current of the conversation to a spiral. Mr. Gurdjieff, having taken some main idea, and after having broadened it and given it depth, completed the cycle of his reasoning by a return to the starting point, which I saw, as it were, below me, more broadly and in greater detail. A new cycle, and again there was a clearer and more precise idea of the breadth of the original thought. I do not know how I should have felt, had I been forced to speak with Mr. Gurdjieff tête-à-tête. The presence of A., his calm and serious enquiring attitude toward the conversation, must have impressed itself upon me without my knowing it. Taken as a whole, what was said brought me an inexpressible pleasure I had never before experienced. The outlines of that majestic edifice which had been dark and incomprehensible to me, were now clearly delineated, and not only the outlines but some of the façade’s details. I should like to describe, even if it is only approximately, the essence of this conversation. Who knows but that it may not help someone in a position similar to my own? This is the purpose of my sketch. “You are acquainted with occult literature,” began Mr. Gurdjieff, “and so I will refer to the formula you know from the Emerald Tablets: ‘As above, so below.’ It is easy to start to build the foundation of our discussion from this. At the same time I must say that there is no need to use occultism as the base from which to approach the understanding of truth. Truth speaks for itself in whatever form it is manifested. You will understand this fully only in the course of time, but I wish to give you today at least a grain of understanding. So, I repeat, I begin with the occult formula because I am speaking to you. I know you have tried to decipher this formula. I know that you ‘understand’ it. But the understanding you have now is only a dim and distant reflection of the divine brilliance. “It is not about the formula itself that I shall speak to you—I am not going to analyze or decipher it. Our conversation will not be about the literal meaning; we shall take it only as a starting point for our discussion. And to give you an idea of our subject, I may say that I wish to speak about the overall unity of all that exists—about unity in multiplicity. I wish to show you two or three facets of a precious crystal, and to draw your attention to the pale images faintly reflected in them. Such was the sense of the words with which Mr. Gurdjieff began the conversation. He then proceeded to describe vividly the sphere in which the life of all mankind moves, with a thought which illustrated the Hermetic formula he had quoted. By analogies he passed from the little ordinary happenings in the life of an individual to the great cycles in the life of the whole of mankind. By means of such parallels he underscored the cyclic action of the law of analogy within the diminutive sphere of terrestrial life. Then, in the same way, he passed from mankind to what I would call the life of the earth, representing it as an enormous organism like that of man, and in terms of physics, mechanics, biology and so on. I watched the illumination of his thought come increasingly into focus on one point. The inevitable conclusion of all that he said was the great law of tri-unity: the law of the three principles of action, resistance and equipoise: the active, passive and neutral principles. Now resting upon the solid foundation of the earth, and armed with this law, he applied it, with a bold flight of thought, to the whole solar system. Now his thought no longer moved toward this law of tri-unity, but already out from it, emphasizing it more and more, and manifesting it in the step nearest to man, that of Earth and Sun. Then, with a brief phrase, he passed beyond the limits of the solar system. Astronomical data first flashed forth, then appeared to dwindle and disappear before the infinity of space. There remained only one great thought, issuing from the same great law. His words sounded slow and solemn, and at the very same moment seemed to diminish and lose their significance. Behind them could be sensed the pulse of a tremendous thought. “We have come to the brink of the abyss which can never be bridged by ordinary human reason. Do you feel how superfluous and useless words have become? Do you feel how powerless reason by itself is here? We have approached the principle behind all principles.” Having said this, he became silent, his gaze thoughtful. Spellbound by the beauty and grandeur of this thought, I had gradually ceased to listen to the words. I could say that I felt them, that I grasped his thought not with my reason but by intuition. Man far below was reduced to nothingness, and disappeared leaving no trace. I was filled with a sense of closeness to the Great Inscrutable, and with the deep consciousness of my personal nothingness. As though divining my thoughts, Mr. Gurdjieff asked: “We started with man, and where is he? But great, all-embracing is the law of unity. Everything in the Universe is one, the difference is only of scale; in the infinitely small we shall find the same laws as in the infinitely great. As above, so below. “The sun has risen over the mountaintops above; the valley is still in darkness. So reason, transcending the human condition, regards the divine light, while for those dwelling below all is darkness. Again I repeat, all in the world is one; and since reason is also one, human reason forms a powerful instrument for investigation. He made a single sketch and, with a passing reference to the laws of mechanics, delineated the scheme of the construction of the Universe. With numbers and figures in harmonious, systematic columns, multiplicity within unity began to appear. The figures began to be clothed with meaning, the ideas which had been dead began to come to life. One and the same law ruled all; with delighted understanding I pursued the harmonious development of the Universe. His scheme took its rise from a Great Beginning and ended with the earth. While he made this exposition, Mr. Gurdjieff noted the necessity of what he called a “shock” reaching a given place from outside and connecting the two opposite principles into one balanced unity. This corresponded to the point of application of force in a balanced system of forces in mechanics. “We have reached the point to which our terrestrial life is linked,” Mr. Gurdjieff said, “and for the present will not go further. In order to examine more closely what has just been said, and to emphasize once more the unity of the laws, we will take a simple scale and apply it, increased proportionately to the measurement of the microcosmos.” And he asked me to choose something familiar of regular structure, such as the spectrum of white light, musical scale, and so on. After having thought, I chose the musical scale. He said a few words about the laws of the scale’s structure, and particularly stressed the gaps, as he called them, which exist in every octave between the notes mi and fa and also between si of one octave and do of the next. Between these notes there are missing half-tones, in both the ascending and descending scales. While in the ascending development of the octave, the notes do, re, fa, sol and la can pass into the next higher tones, the notes mi and si are deprived of this possibility. He explained how these two gaps, according to certain laws depending on the law of tri-unity, were filled in by new octaves of other orders, these octaves within the gaps playing a part similar to that of the half-tones in the evolutionary or involutionary process of the octave. The principal octave was similar to a tree trunk, sending out branches of subordinate octaves. The seven principal notes of the octave and the two gaps, “bearers of new directions,” gave a total of nine links of a chain, or three groups of three links each. After this he turned to the structural scheme of the Universe, and from it singled out that “ray” whose course led through the earth. The original powerful octave, whose notes of apparently ever-lessening force included the sun, the earth and the moon, had inevitably fallen, according to the law of tri-unity, into three subordinate octaves. Here the role of the gaps in the octave and the differences in their nature were defined and made clear to me. Of the two intervals, mi-fa and si-do, one was more active—more of the nature of will—while the other played the passive part. The “shocks” of the original scheme, which was not altogether clear to me, were also the rule here, and appeared in a new light. In the division of this “ray,” the place, the role and the destiny of mankind became clear. Moreover the possibilities of the individual man were more apparent. Then Mr. Gurdjieff began to explain the way in which fundamental octaves are combined with secondary octaves subordinate to them; how these, in their turn, send forth new octaves of the next order, and so on. I could compare it to the process of growth or, more aptly, to the formation of a tree. Out of a straight vigorous trunk boughs branch out, producing in their turn small branches and twigs, and then leaves appear on them. One could already sense the process of formation of veins. I must admit that, in fact, my attention was chiefly attracted to the harmony and beauty of the system. In addition to the octaves growing, like branches from a trunk, Mr. Gurdjieff pointed out that each note of every octave appears, from another point of view, as a whole octave: the same was true everywhere. These “inner” octaves I should compare to the concentric layers of a tree trunk which fit one within the other. All these explanations were given in very general terms. They emphasized the lawful character of the structure. But for the examples which accompanied it, it might have been found rather theoretical. The examples gave it life, and sometimes it seemed that I really began to guess what was hidden behind the words. I saw that in this consistency in the structure of the universe, all the possibilities, all the combinations without exception, had been foreseen; the infinity of infinities was foreshadowed. And yet, at the same time, I could not see it, because my reason faltered before the immensity of the concept. Again I was filled with a dual sensation—the nearness of the possibility of all-knowing and the consciousness of its inaccessibility. I saw indeed that this possibility existed. Although not yet knowing what it was, I saw that it was there. I find it hard to put into words what became more and more understandable. I saw that the reign of law, now becoming apparent to me, was really all-inclusive; that what appeared at first sight to be a violation of a law, on closer examination only confirmed it. One could say without exaggeration that while “exceptions prove the rule,” at the same time they were not exceptions. For those who can understand I would say that, in Pythagorean terms, I recognized and felt how Will and Fate—spheres of action of Providence—coexist, while mutually competing; how, without blending or separating, they intermingle. I do not nurture any hope that such contradictory words can convey or make clear what I understand; at the same time I can find nothing that is better. “You see,” Mr. Gurdjieff went on, “that he who possesses a full and complete understanding of the system of octaves, as it might be called, possesses the key to the understanding of Unity, since he understands all that is seen—all happenings, all things in their essence—for he knows their place, cause and effect. “At the same time you see clearly that this consists of a more detailed development of the original scheme, a more precise representation of the law of unity, and that all we have said and are going to say is nothing but a development of the principal idea of unity. That a full, distinct, clear consciousness of this law is precisely the Great Knowledge to which I referred. “Speculations, suppositions and hypotheses do not exist for him who possesses such a knowledge. Expressed more definitely, he knows everything by ‘measure, number and weight.’ Everything in the universe is material: therefore the Great Knowledge is more materialistic than materialism. “A look at chemistry will make this more intelligible.” He demonstrated how chemistry, in studying matter of various densities without a knowledge of the law of octaves, contains an error which affects the end results. Knowing this, and making certain corrections, based on the law of octaves, brings these results into full accord with those reached by calculation. In addition he pointed out that the idea of simple substances and elements in contemporary chemistry cannot be accepted from the point of view of the chemistry of octaves, which is “objective chemistry.” Matter is the same everywhere; its various qualities depend only on the place it occupies in a certain octave, and on the order of the octave itself. I saw it all in mathematical terms. I became clearly convinced that everything in the Universe is material and that everything can be measured numerically in accordance with the law of octaves. The essential material descends in a series of separate notes of various densities. These were expressed in numbers combined according to certain laws, and that which had seemed immeasurable was measured. What had been referred to as cosmic qualities of matter was made clear. To my great surprise, the atomic weights of certain chemical elements were given as examples, with an explanation showing the error of contemporary chemistry. In addition, the law of the construction of “atoms” in matter of various densities was shown. As this presentation progressed we passed, almost without my being aware of it, to what might be called “the Earth octave” and so arrived at the place from which we had started—on earth. Mr. Gurdjieff next drew a scheme of the human body and compared it to a three-storied factory, the stories being represented by the head, chest and abdomen. Taken together the factory forms a complete whole. This is an octave of the first order, similar to that with which the examination of the Macrocosmos began. Each of the stories also represents an entire octave of the second order, subordinate to the first. Thus we have three subordinate octaves which are again similar to those in the scheme of the construction of the universe. Each of the three stories receives “food” of a suitable nature from outside, assimilates it and combines it with the materials which have already been processed, and in this way the factory functions to produce a certain kind of material. All these three kinds of food, representing matter of certain densities and qualities, belong to octaves of different orders. After that he showed how these three kinds of food, received in different parts of the human organism, enter at the starting points of the corresponding octaves, interconnected by a certain process of law; each of them therefore represents do of the octave of its own order. The laws of the development of octaves are the same everywhere. For instance, do of the food octave coming into the stomach, the third do, passes through the corresponding half-tone into re, and by way of the next passage through a half-tone is further converted into mi. mi, lacking this half-tone, cannot, by way of a natural development, pass independently into fa. It is assisted by the air octave, which enters the chest. As already shown, this is an octave of a higher order, and its do (the second do), having the necessary half-tone for the transition into re, appears to connect up with the mi of the former octave and transmute into fa. That is, it plays the part of the missing half-tone and serves as a shock for the further development of the former octave. “We will not stop now,” said Mr. Gurdjieff, “to examine the octave beginning with the second do, nor that of the first do, which enters a definite place. This would only complicate the present situation. We have now made sure of the possibility of a further development of the octave under discussion, thanks to the presence of the half-tone. fa passes through a half-tone into sol and in fact the material received here appears to be the salt of the human organism—the Russian word for salt is sol. This is the highest that can be produced by it.” Reverting to numbers, he again made his thought clear in terms of their combinations. “The further development of the octave transfers sol through a half-tone into la, and the latter through a half-tone into si. Here the octave again stops. A new ‘shock’ is required for the passage of si into the do of a new octave of the human organism. At this point, without waiting to clarify a thought which came into my head, I asked something about the usefulness of fasting. “Now that we have begun these conversations,” he said, “I have no objection to continuing them. Much depends on you. What I mean by this, A. will explain to you in detail.” Then, noticing that I was going to turn to A. for the explanation, “But not now, some other time,” he added. “Now I want to tell you this. As everything in the Universe is one, so, consequently, everything has equal rights, therefore from this point of view knowledge can be acquired by a suitable and complete study, no matter what the starting point is. Only one must know how to ‘learn.’ What is nearest to us is man; and you are the nearest of all men to yourself. Begin with the study of yourself; remember the saying ‘Know thyself.’ It is possible that now it will acquire a more intelligible meaning for you. To begin with, A. will help you in the measure of his own force and yours. I advise you to remember well the scheme of the human organism which I gave you. We shall sometimes return to it in the future, adding to its depth every time. Now A. and I will leave you alone for a short time, as we have a small matter to attend to. I recommend that you not puzzle your brains over what we have spoken about, but give them a short rest. Even if you happen to forget something, A. will remind you of it afterwards. Of course it would be better if you did not need to be reminded. Accustom yourself to forget nothing. This excerpt is taken from “Glimpses of Truth,” Views from the Real World: Early Talks of Gurdjieff as Recollected by his Pupils, New York: Dutton, 1973, pp. 10–26.